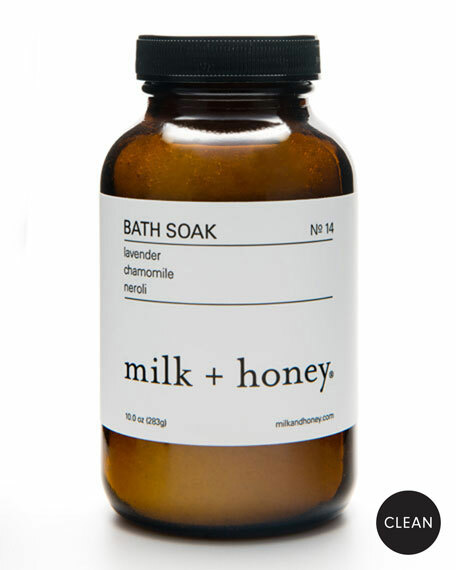 milk + honey Bath Soak No. 14, 10.0 oz. 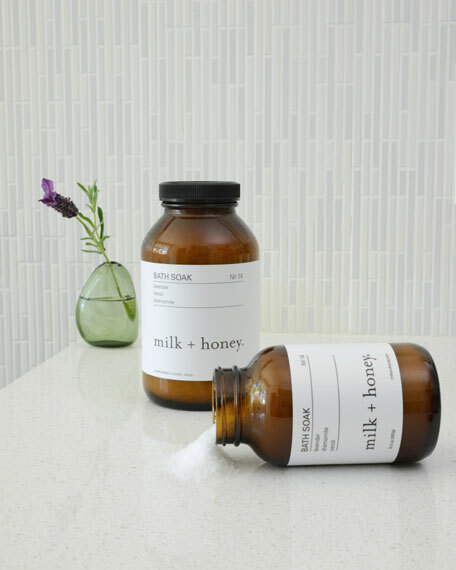 milk + honeyBath Soak No. 14, 10.0 oz. Decompress. Let the day's stress fade away. Take a deep breath and soak up the calming blend lavender, chamomile, and neroli oils  then exhale. Pour one-quarter to one-third cup into a hot bath. Sit back and enjoy your happy place.